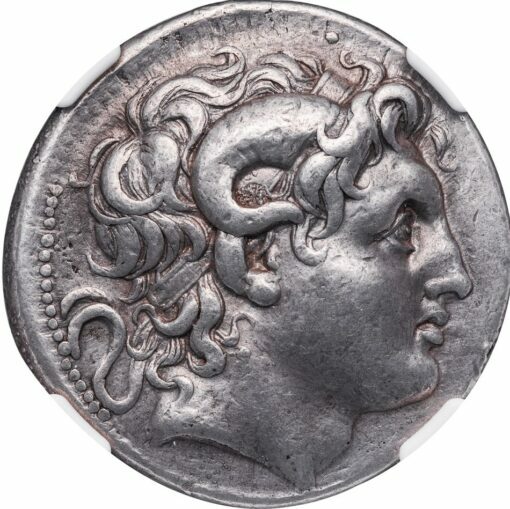 Silver Tetradrachm, 16.94 g., 30 mm, a lifetime emission of Lampsacus, ca. 297-281 BC. Obv. Head of deified Alexander the Great right, with the horns of Amon. Rev. 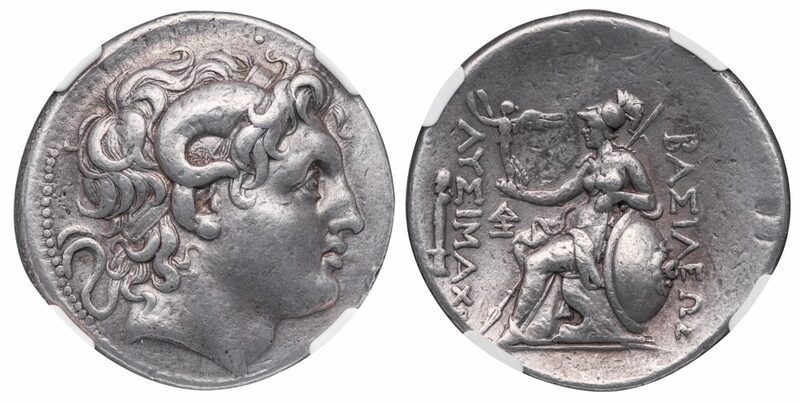 ΒΑΣΙΛΕΩΣ ΛΥΣΙΜΑXΟΥ, Athena enthroned left, holding a Nike crowning Lysimachus’ name, lion head device on shield, herm in outer left, ΔΞ monogram in left field. 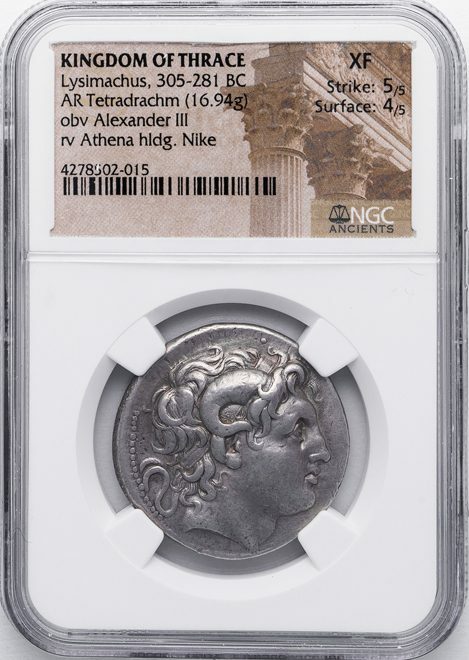 NGC graded XF, Strike 5/5, Surface 4/5, with a particularly well executed portrait of Alexander.